Number of Sleeping Rooms/Suites: 106 Number of Meeting Rooms: 4 Total Meeting Space: 2,566 sq. ft. Indoor Session Capacity: 120 persons, 2,265 sq. ft. Outdoor Session Capacity: N/A Banquet Capacity: 120 persons, 2,265 sq. ft. 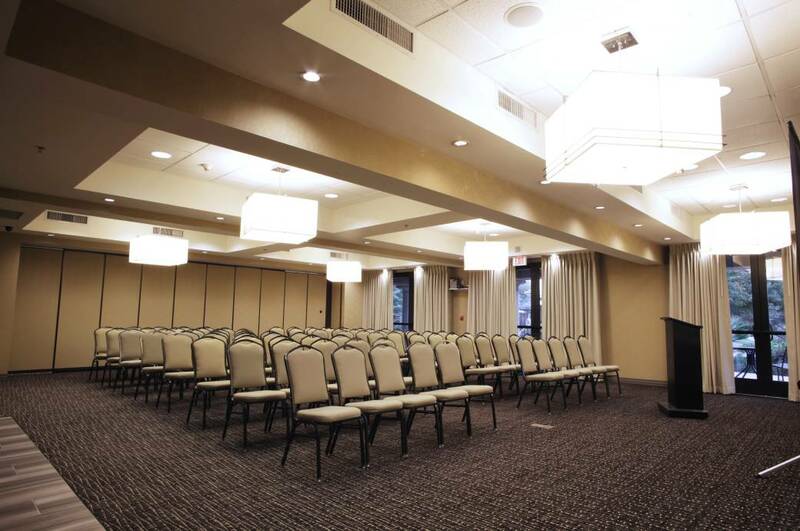 Distance to PHX Sky Harbor: 20 miles Distance to Phoenix Mesa Gateway Airport: 17 miles Holiday Inn Phoenix Chandler offers flexible and newly renovated event space with neutral colors and natural/adjustable lighting all with 9-foot ceilings. Largest space opens up onto outdoor patio. Description Holiday Inn Phoenix Chandler features flexible meeting space with natural lighting and a prime location near major employers in Chandler. Earn IHG Reward Points when you book with us using our IHG Business Rewards program.